Each box in a 10pack is only $2.50 each! Now thats purrrfectly good for filling up party bags! 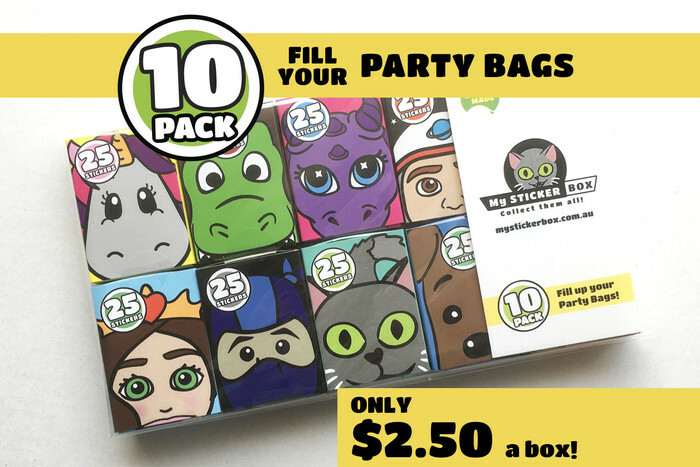 25 Stickers of everything: Unicorn, Dog, Pirate, Ninja, Astronaut, Dinosaur, Dragon, Horse, Princess, Cat.